The WWR-M reactor of the Petersburg Nuclear Physics Institute provides a unique opportunity for creating conditions of low radiative heat release (∼4 × 10−3 W/g) at a sufficiently high neutron flux (∼3 × 1012 neutrons/(cm2 s)). This opportunity can be implemented in the reactor thermal column, which represents a 1-m-diameter channel adjacent to the reactor core. This diameter of the channel allows the arrangement of the core gamma shielding made of bismuth (15 cm thick), a graphite premoderator (300 dm3) at a temperature of 20 K, and a converter with superfluid helium (35 dm3) at a temperature of 1.2 K. Calculations show that the heat release in the source (20 W) can be removed by pumping helium vapor, and the density of ultracold neutrons in an experimental trap will be ∼104 neutrons/cm3, which is higher than that of existing sources of ultracold neutrons by two to three orders of magnitude. Original Russian Text © A.P. Serebrov, V.A. Mityukhlyaev, A.A. Zakharov, A.N. Erykalov, M.S. Onegin, A.K. Fomin, V.A. Ilatovskiy, S.P. Orlov, K.A. Konoplev, A.G. Krivshich, V.M. Samsonov, V.F. Ezhov, V.V. Fedorov, K.O. Keshishev, S.T. Boldarev, V.I. Marchenko, 2010, published in Fizika Tverdogo Tela, 2010, Vol. 52, No. 5, pp. 969–973. K. Eberhardt, G. Hampel, W. Heil, J. V. Kratz, Th. Lauer, Yu. Sobolev, N. Trautmann, N. Wiehl, I. Altarev, P. Amos, A. Frei, E. Gutsmiedl, R. Hackl, J. Hart- mann, A. R. Müller, St. Paul, D. Torturella, W. Schmid, L. Tassini, U. Trinks, A. Pirozhkov, and Yu. 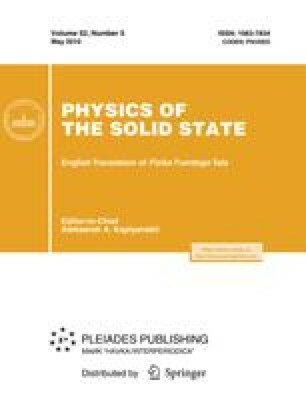 Poko- tilovski, in Proceedings of the Sixth International Conference ”Ultra-Cold and Cold Neutron: Physics and Sources,” St. Petersburg, Russia, 2007 (St. Petersburg, 2007); http://cns.pnpi.spb.ru/6UCN/articles/Heill.pdf. A. Serebrov, in Proceedings of the Sixth International Conference ”Ultra-Cold and Cold Neutron: Physics and Sources,“ St. Petersburg, Russia, 2007 (St. Petersburg, 2007); http://cns.pnpi.spb.ru/6UCN/articles/Serebrov1.pdf.